The ports of Seattle and Tacoma have approved a $500 million plan to revamp and lease Terminal 5 just east of West Seattle to accommodate larger ships, and to shift some operations that should result in a new berth for cruises to Alaska. 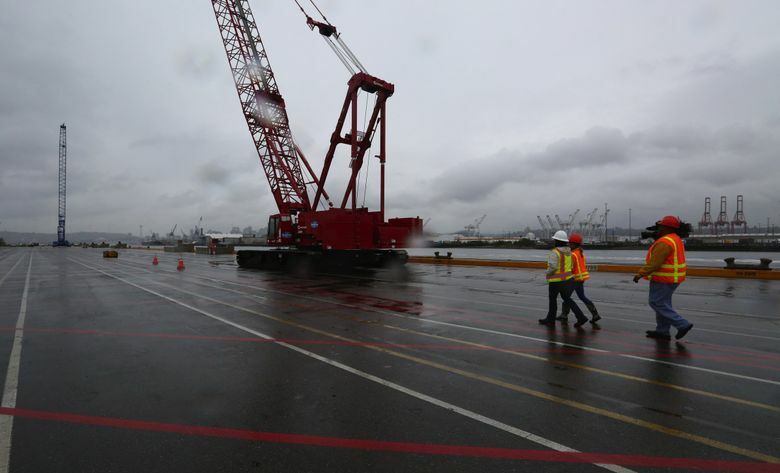 The Northwest Seaport Alliance commission, the coalition between the two local ports, approved the projects and associated leases at a board meeting Tuesday, with an 8-2 vote (Tacoma commissioners Don Meyer and John McCarthy dissented). The port also plans to use part of Terminal 46, just west of the stadiums, as an Alaska cruise berth, by shifting some international cargo to Terminal 18 on Harbor Island. The 185-acre Terminal 5, which opened in 1964, has a deep berth and is set up to allow containers to be transferred directly onto rail cars. But in recent years, cargo ships running routes between Asia and the United States have gotten so big that they require larger cranes, which in turn need expanded facilities and utilities to support them. The upgrades, scheduled to start as soon as this spring, will help export products such as hay, apple and potatoes to Asian markets, and bring in cargo in containers for local businesses like Starbucks and Paccar. After construction is done, scheduled in March 2021, the terminal will be operated by a marine cargo joint venture between Stevedoring Services of America Terminals and Total Investment Limited, which will also install four to eight large cranes there as part of the 32-year lease agreement. The size of property under lease will grow from 65 acres initially to 159 acres in future years, with rents starting at $150,000 per acre a year, plus a portion of state taxes, and increasing each year with inflation. The total investment between the Port and the private companies is expected to be about $500 million, the seaport alliance said, including $340 million from the two ports. It expects the transformation at Terminal 5 to allow 32 percent more containerized cargo by 2050 than if the projects had not happened, for a new total of 7 million twenty-foot equivalent units (TEUs). Terminal 5 had been used by Eagle Marine Services until 2014. Since then it has not had a permanent tenant but has hosted occasional one-off cargo shipments and marine towing operations. 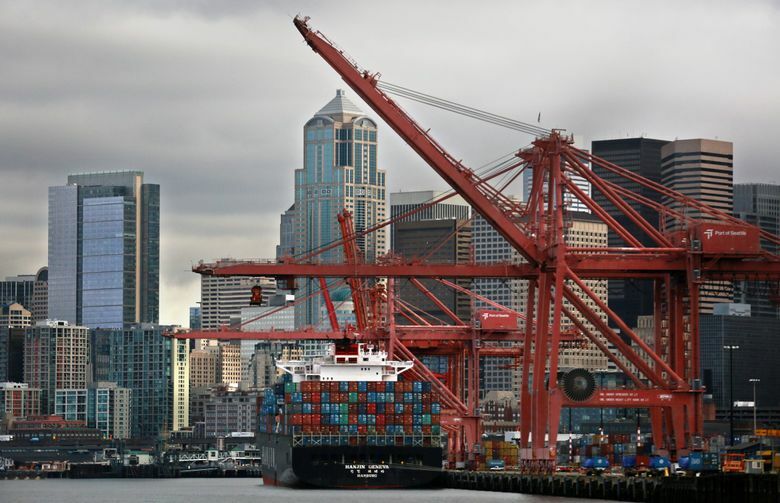 The ports are mainly privately funded, though a King County property tax pays for about 10 percent of Port of Seattle operations. The alliance expects the revenues from the new Terminal 5 operations to pay back its project costs by 2037 to 2043. A ship carrying four gigantic cranes passed through Puget Sound. Here’s what they’re for.